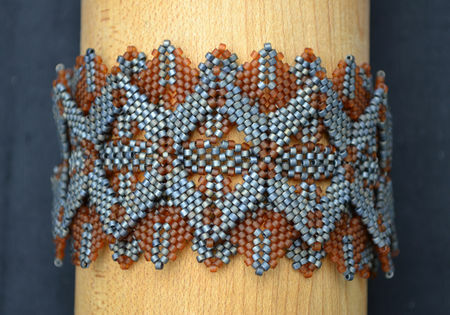 I am a jewellery artist living and working in Winnipeg, Manitoba. 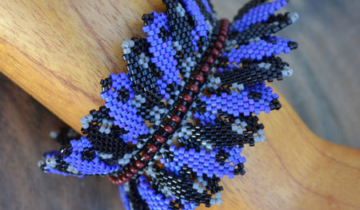 Working predominately with off-loom beadweaving techniques, I use a single needle and thread to sew glass beads together into three-dimensional wearable art. 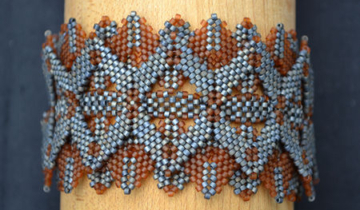 My skills with a needle and thread were nurtured at the foot of my mother’s treadle sewing machine and honed by 15 years of looking after the historic material culture housed at the Manitoba Museum. 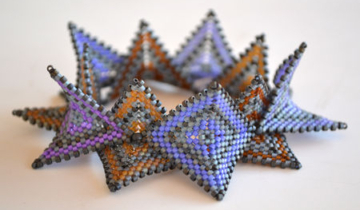 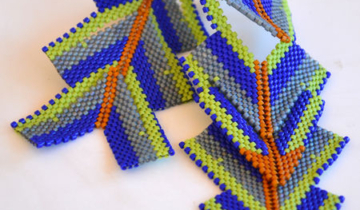 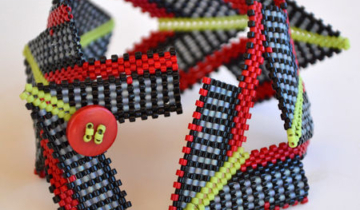 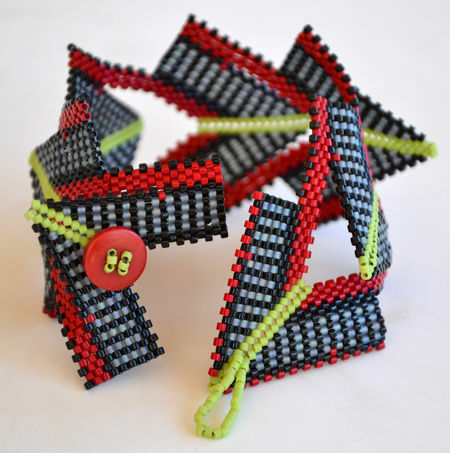 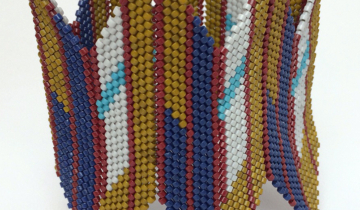 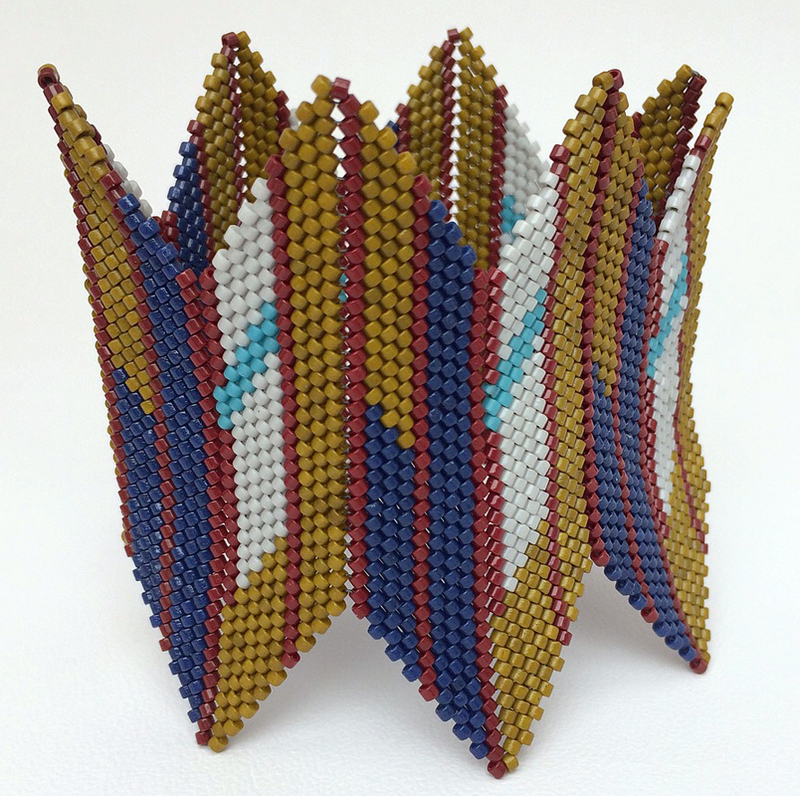 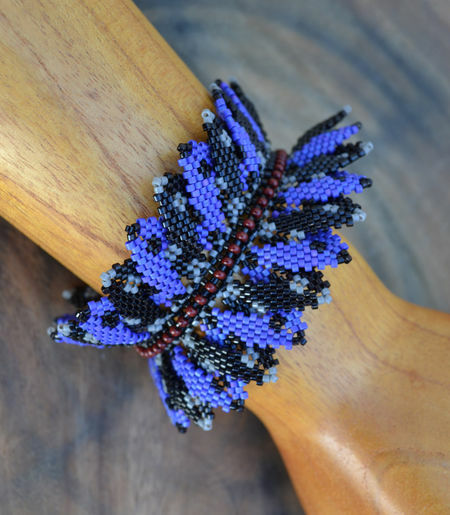 Informed by traditional fabric arts and inspired by contemporary forms of expression, I use the repetition and layering of simple geometric shapes to create beadwoven jewellery with complex textures, patterns and shapes.